The G minor guitar chord, usually written as “Gm”, is one of the least common minor guitar chords. I always tell my students that although it doesn’t appear too often it’s still a good chord to know because it sounds so cool. 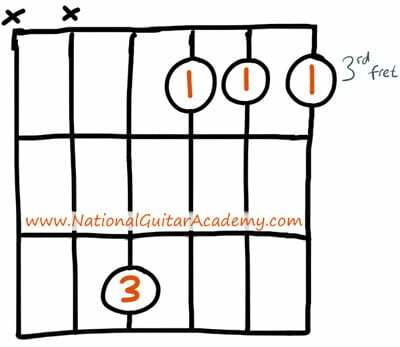 Barred guitar chords like this are too difficult for beginner guitarists to play, so let’s look at some easier ways to play a G minor guitar chord instead. Let’s look at 3 easier alternatives that I often recommend to my students. That’s still too difficult Mike! 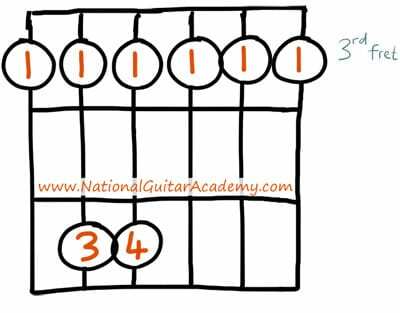 Is there an even easier way to play a G minor guitar chord? As you can see this is a much easier version the Gm guitar chord than the others! This Gm chord is well suited to people who are very early in their guitar journey. The only issue with this version of the G minor guitar chord is that it sounds a little thin. That’s the trade off we’re making here; we’re sacrificing the quality of a well-rounded and full G minor for the playability of this simple 3-string version of G minor chord. 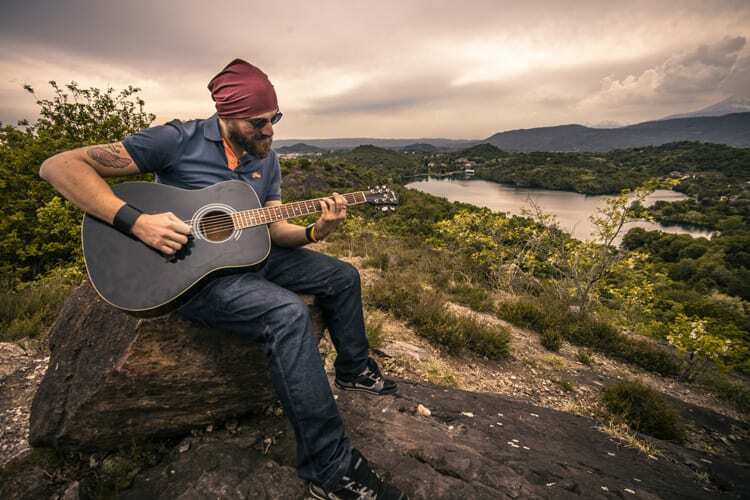 Are there any other simple ways to play a G minor guitar chord? Playing stripped-down versions of guitar chords inevitably affects the quality of the sound, but that’s the trade off for using simpler chords. 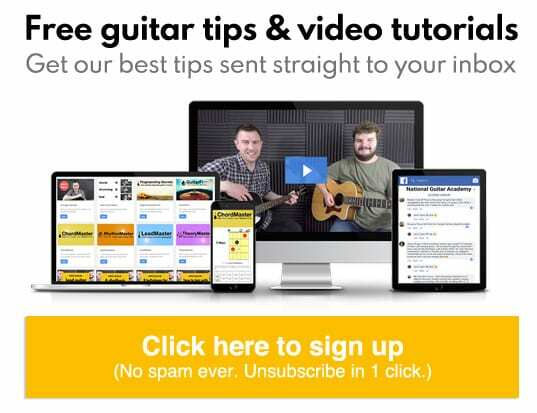 Think of these easy versions of the G minor guitar chord as stepping stones; chords you’ll play while you develop as a guitarist and improve your finger-control and dexterity to the point where you can play the full version of G minor guitar chord. You can use a capo to make a difficult piece of music easy. For example, if you put a capo on the 3rd fret and play an Em chord, the sound that comes out of the guitar will be Gm. Give it a try! The capo simply does the job your finger is doing when you barre strings. It’s raising the key of the guitar which means you can play different (and easier) chords shapes to get the same result. Don’t be afraid of experimenting with a capo, it’s a beginner guitarist’s best friend!